An American TV actor was criminally charged Thursday for allegedly masterminding an elaborate "publicity stunt" that sought to exploit the "pain and anger of racism" with a staged assault on the streets of Chicago. 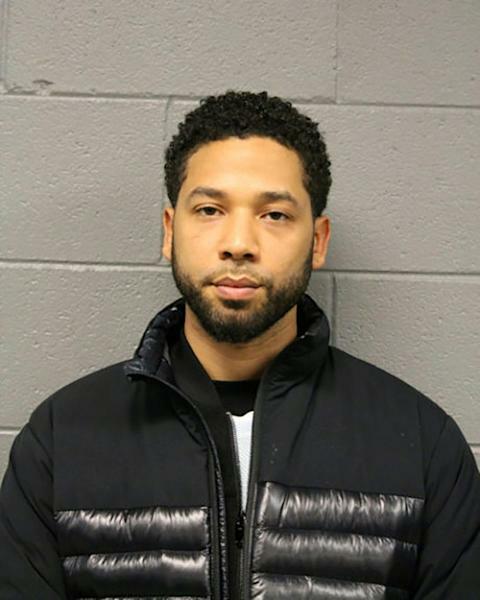 It was the latest twist in a weeks-long saga that has seen 36-year-old Jussie Smollett, the gay, African-American actor who stars on Fox music industry drama "Empire," go from victim to suspect after he reported an assault late last month. An incredulous Chicago police chief accused Smollett of first sending himself a fake threatening letter and then staging an attack to tap into Americans' anxieties over political and racial divisions, because he was allegedly "dissatisfied with his salary." In a sign of the national attention the case has drawn, President Donald Trump weighed in Thursday, taking issue with the fact Smollett claimed his assailants invoked the president's "Make America Great Again" slogan along with homophobic and racist slurs during the purported attack. "'Empire' actor Jussie Smollett took advantage of the pain and anger of racism to promote his career," Chicago Police Superintendent Eddie Johnson told an emotionally-charged news conference -- during which he lashed out angrily at the actor for sullying the city's image. "Smollett paid $3,500 to stage this attack and drag Chicago's reputation through the mud in the process," he said. "This publicity stunt was a scar that Chicago didn't earn and certainly didn't deserve." His legal team pushed back hard later Thursday, claiming the police press conference had been prejudicial and "the presumption of innocence, a bedrock in the search for justice, was trampled upon." "Today we witnessed an organized law enforcement spectacle that has no place in the American legal system," attorney Jack Prior told AFP in a statement. Smollett had claimed that two masked men beat him late at night in downtown Chicago, poured bleach on him and tied a rope around his neck -- but police grew suspicious of his account after they failed to corroborate it. Trump took aim at the actor for having tarnished his supporters, tweeting: "what about MAGA and the tens of millions of people you insulted with your racist and dangerous comments!?" Meanwhile, Fox Entertainment and 20th Century Fox Television, which produce "Empire" and had stood by the actor, said "we understand the seriousness of this matter" and "are considering our options." 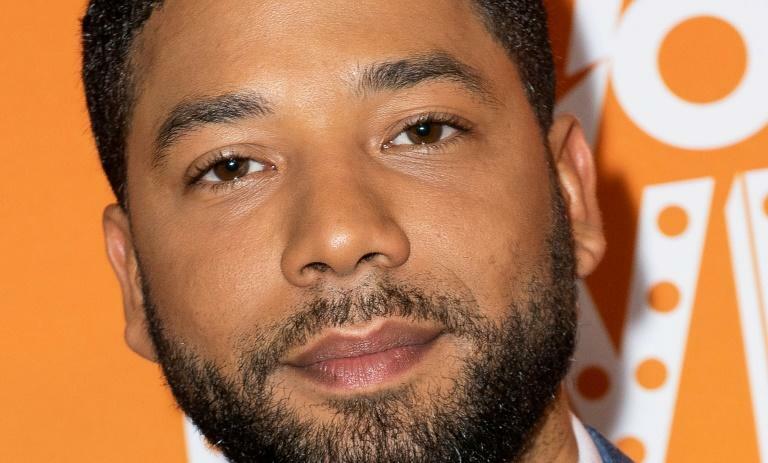 Authorities said the two men who staged the attack with Smollett were brothers Ola and Abel Osundairo, who have both previously worked on "Empire," and were acquaintances of the actor -- while one provided him with drugs. Smollett allegedly first concocted a false threatening letter he had sent to himself -- which is under a separate FBI investigation -- and when that did not get enough attention, paid the brothers to have the assault staged. Prosecutor Risa Lanier detailed an elaborate plot that Smollett allegedly orchestrated with exacting detail -- telling the brothers when and how to attack him, including pointing out a street camera he assumed would capture the event, but was in fact pointing in a different direction. Initial news of Smollett's claims led to widespread condemnation and shock, and an outpouring of support from celebrities and politicians alike, including Democratic 2020 presidential candidates Cory Booker and Kamala Harris who denounced "an attempted modern day lynching." Trump initially described the alleged attack as "horrible." Since then, Smollett's story has become a cautionary tale in an era where incomplete information is quickly spread via social media. The president of the LGBT advocacy group Human Rights Campaign said the Smollett news was "both devastating and frustrating." "I want to ask everyone feeling angry, hurt & disappointed to channel that into productive activism – because there are thousands targeted by hate violence each year who need our help," Chad Griffin tweeted.